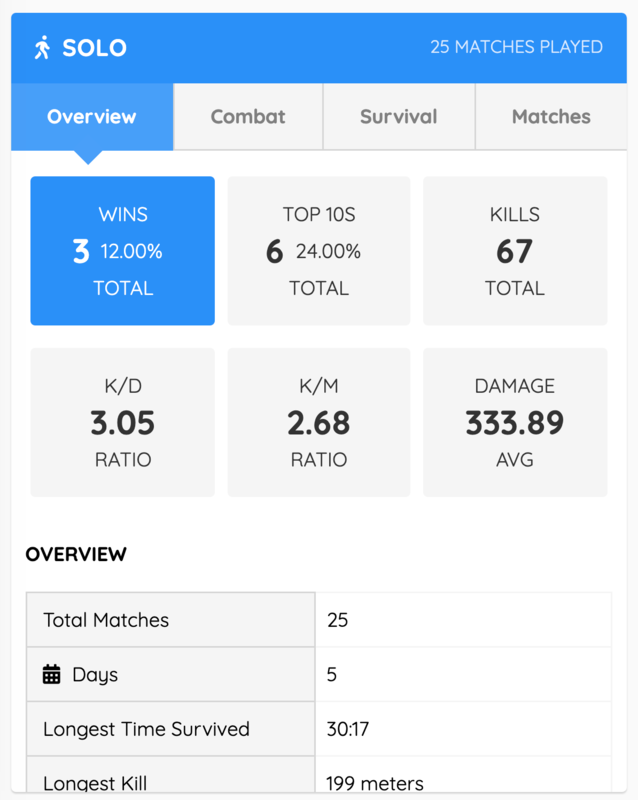 PUBG player stats, PUBG player search, detailed match reports, and more for PUBG XBOX, PS4, & PC. Get a list of all combat interactions with other players. 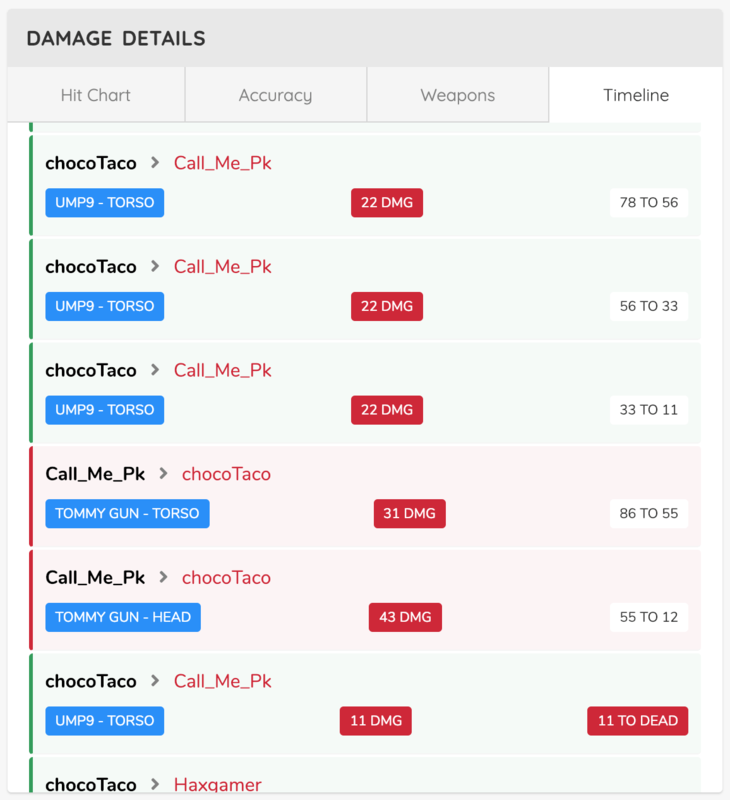 You can see how much damage each bullet did when you attacked another player or when a player attacks you. 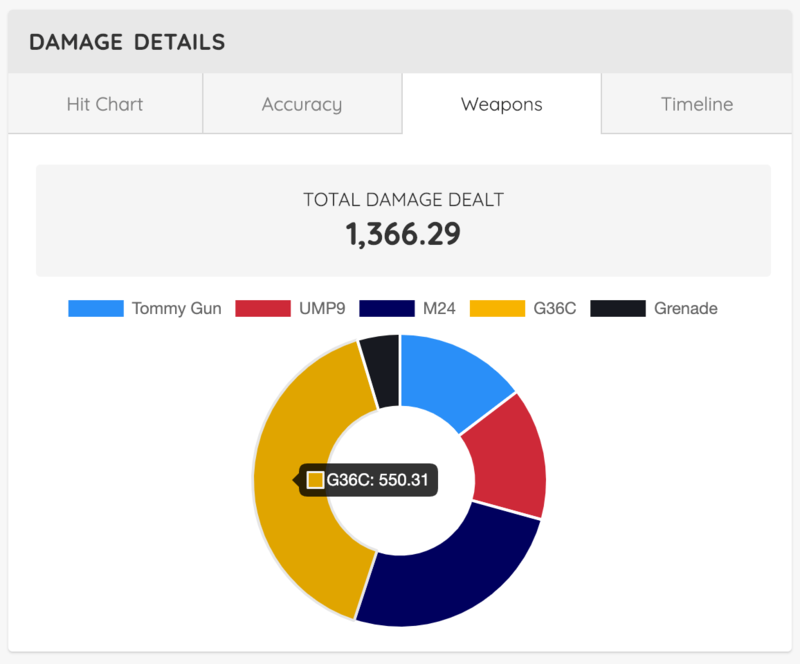 Find out which weapons you used in the match and how much damage each did. 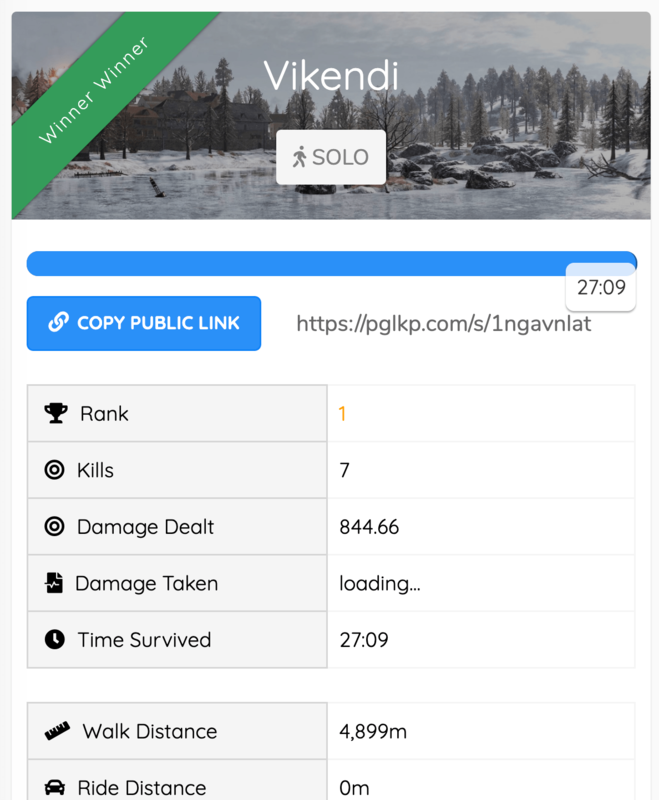 Couple that information with your hit region report and you'll have a good picture of your accuracy per weapon. 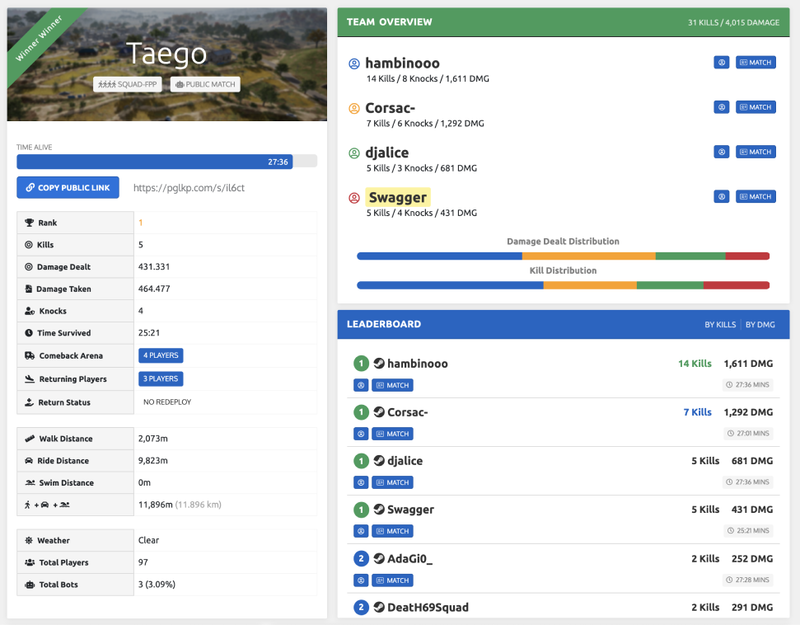 Want to get stats for every player in your match? No problem. 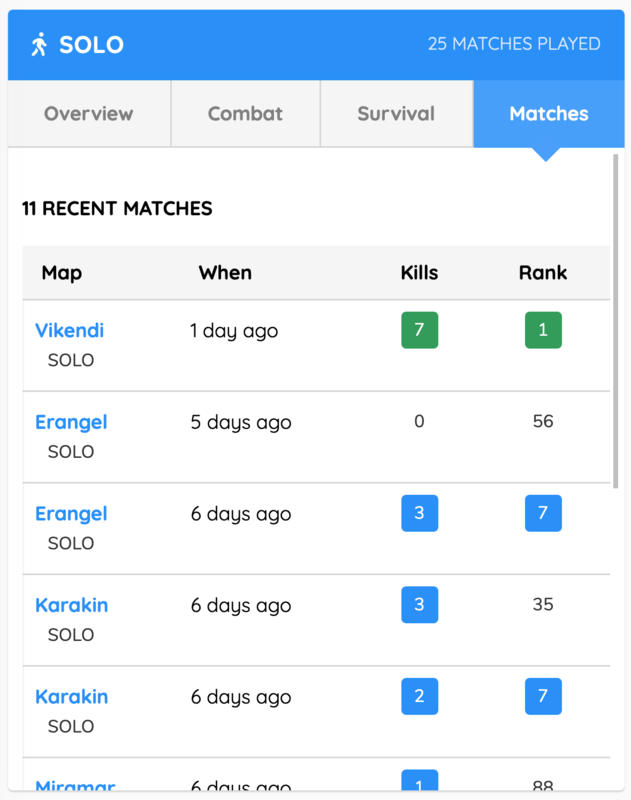 The match leaderboard will show you rank, kills and damage for every player. Dive into their season or match report for more details.